Joe and Anthony Russo’s Captain America: Civil War introduces two extremely important superheroes to the Marvel Cinematic Universe. One of them is Spider-Man, who is not only one of the most popular comic book characters in the world, but has already been at the center of five of his own movies. The other character, however, is T’Challa a.k.a. Black Panther – a hero making his live-action debut in the blockbuster who isn’t terribly well-known amongst mass audiences. The good news is that Captain America: Civil War provides Black Panther with a tremendous introduction, and movie-goers will love with him and Chadwick Boseman’s performance. That being said, with the film now less than a week from hitting theaters domestically, we thought it would be a good idea to provide some background about the history of the character, and what you can expect from him in the upcoming feature. Unlike Peter Parker, Matt Murdock, or hundreds of other Marvel heroes, T’Challa isn’t an ordinary guy when he takes off his superhero costume. 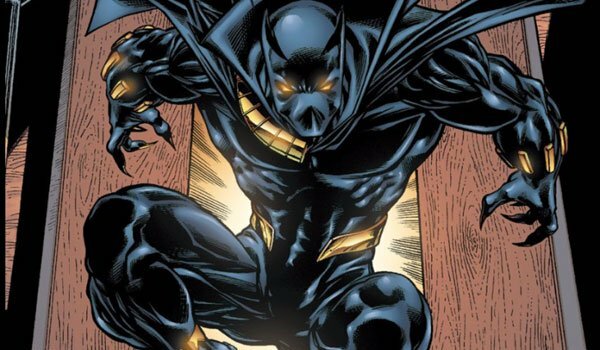 Rather, he is a member of the royal family of Wakanda, and was a prince up until the assassination of his father, T’Chaka (again, more on that later). He has since reigned as the king of the African nation, and remains one of the only costumed characters who also happens to be a head of state. As you would imagine, this has a very important influence on his various adventures and storylines, as he goes into every scenario as not only a person trying to fight for good on a global scale, but also the number one representative of his entire country. Of course, it’s important to note that being the Black Panther and the King of Wakanda are positions that actually go hand-in-hand. 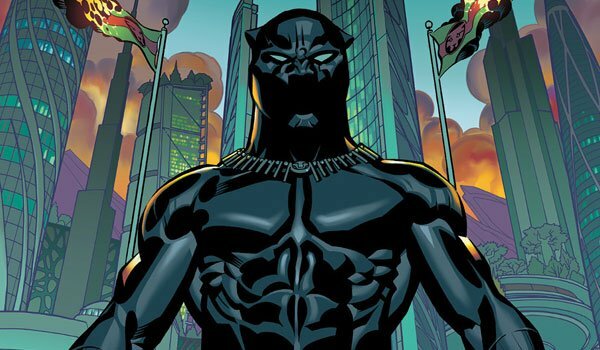 T’Challa is the first Black Panther who will be introduced in live-action, and was the first to appear in Marvel Comics, but he is far from the first man to carry that mantle. In Wakanda, the Black Panther is a title that has been passed down through multiple generations of the country’s leaders who have gone through a special rite of passage to earn it. After the death of his father, T’Challa went through these trials as a young man, and earned the right to be called his nation’s greatest warrior and sworn protector. Without spoiling anything, this whole bit is slightly tweaked in Captain America: Civil War, as T’Challa is actually still a prince when we meet him in the Marvel Cinematic Universe, but the significance of the position of Black Panther within Wakanda is exactly the same as it is in the comics. Marvel Cinematic Universe fans are already well-versed on the metal known as Vibranium. Captain America’s famous shield is made of the incredibly rare material, which has incredible properties such as the ability to absorb energy. Like the nation of Wakanda itself, very few people even know Vibranium is a thing – but the African country actually has tons of the stuff. 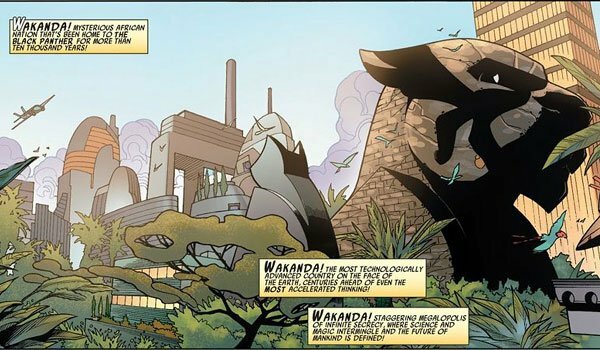 The reason why Wakanda is so secretive is because it was the landing spot for a meteorite made of Vibranium, and after being discovered it was determined by chieftains that the metal must be kept a secret. Scientific research into its many different uses was what led the civilization to be more advanced than the rest of humanity. Vibranium is obviously a very important part of T’Challa’s political life, given that it has a huge impact on the economy and day-to-day life, but the material also happens to be very important to his role as Black Panther. While watching Captain America: Civil War, you may notice that there is a certain glean on Black Panther’s costume when he’s standing in the light the right way. 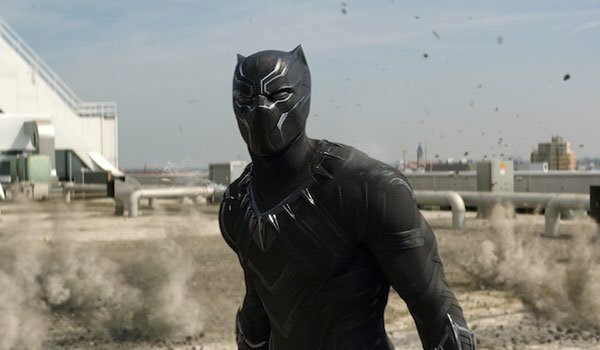 You wouldn’t expect this from black fabric – but that’s because Black Panther’s costume isn’t made of a normal fabric. It’s actually woven entirely out of Vibranium – which basically means he’s as protected at all times on the level that he would be if he were hiding in a pile of Captain America shields. The material also provides him with some great offensive capabilities, as he has retractable Vibranium claws built into the gloves. Thanks to years of specialized training, T’Challa is a formidable force for his enemies even when he’s not wearing his Black Panther costume, but the outfit basically enhances all of his abilities, and when he has it on you definitely want to be fighting on his side. In The Avengers: Age of Ultron, James Spader’s titular robotic villain has an idea to upgrade himself to an all-Vibranium body, and goes about doing so by visiting a man in Africa. 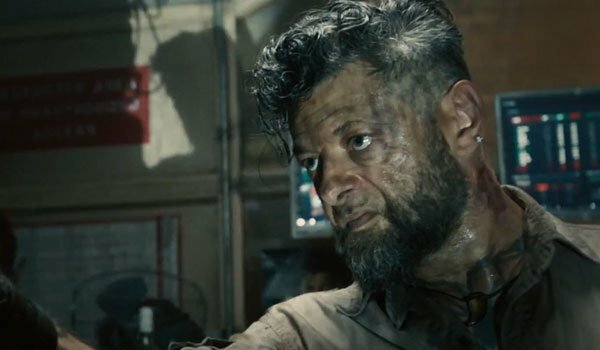 This man, played by Andy Serkis, is Ulysses Klaw – one of Black Panther’s greatest foes in the comics. He is a man completely obsessed with Vibranium, particularly as a means of powering a special sound transducer of his own design, and winds up becoming a nemesis of T’Challa’s when he murders the aforementioned T’Chaka during a heist of some of the precious metal. Like the version of the character in Joss Whedon’s film, Klaw winds up getting his hand cut off – and in the comics he replaces it with a sound emitter that can create any object or creature out of sound waves. Whether or not we will see some version of this device (or the character) in the upcoming Black Panther movie is currently unknown. In case it hasn’t been made clear yet, the folks in Wakanda really aren’t too big on outsiders. The value of Vibranium paints a big target on the country for those in-the-know, and their history is filled with all kinds of trust-destroying events. It’s this same history that even prevented Black Panther from entirely believing in the Avengers – even after he joined their ranks. When T’Challa initially counted himself as a member of Earth’s Mightiest Heroes, he did so primarily as a means of spying on them. Of course, all he learned from this bit of espionage is that they were true friends and individuals whom he could rely on when things are going wrong both inside and outside of Wakanda. Like every member of the Avengers, he has been an on-again, off-again member of the group for decades now, and is currently a member of the newly-formed Ultimates. 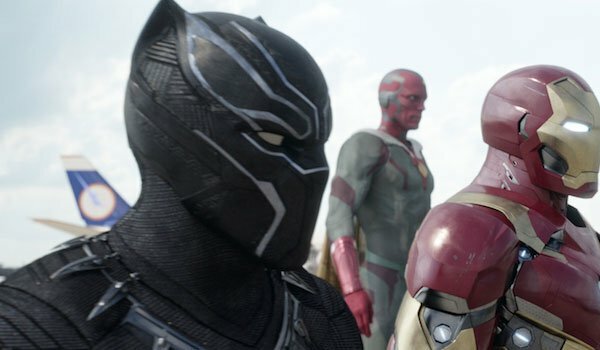 In Captain America: Civil War, personal prejudices lead Black Panther to side with Iron Man in the battle against the titular hero, but this isn’t an adaptation of what was going on with the character in the Civil War comics. 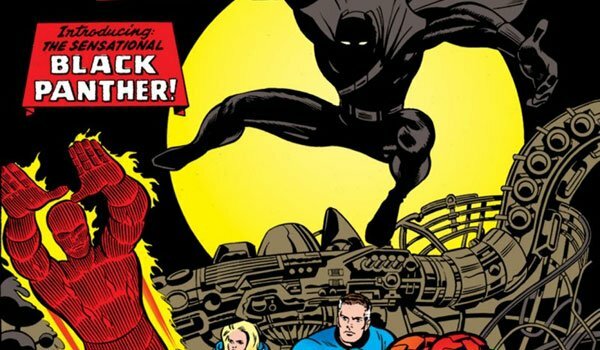 Because the Superhero Registration Act only affected costumed vigilantes living in the United States, T’Challa was unaffected by the legislation, and as a result abstained from the conflict. He attempted to broker a temporary peace between the two factions, inviting both Tony Stark and Steve Rogers to attend his aforementioned wedding to Storm, but they couldn’t put aside their politics for long enough to stay in the same room together. 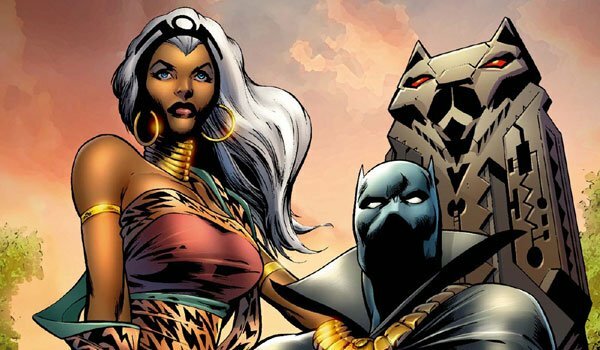 Also distracting Black Panther from the registration issue was the fact that Storm had become the new queen of Wakanda, and the couple had to make diplomatic visits around the world as part of her new position. Marvel Comics now feature many, many black characters and superheroes – including Luke Cage, Sam Wilson (a.k.a. Falcon), Eric Brooks (a.k.a. Blade), Ororo Munroe (a.k.a. Storm), and Miles Morales (a.k.a. Spider-Man) – but Black Panther claims the title of being the first black superhero in mainstream comics. 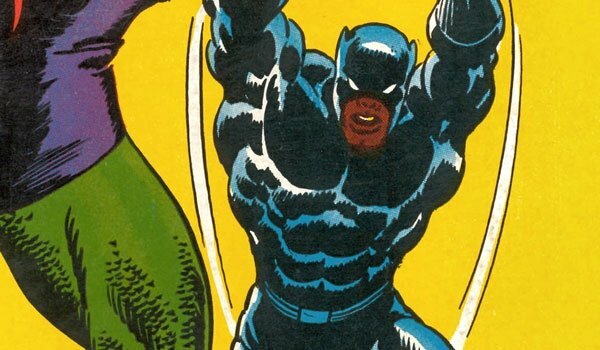 Created by Stan Lee and Jack Kirby and introduced to Marvel Comics in July 1966, Black Panther even predates the Black Nationalist party of the same name (though it did lead to the character being briefly renamed "Black Leopard"). Not only did his existence lead Marvel to start making their comic book universe more diverse, but it also inspired competitors to do the same – with DC Comics introducing the Green Lantern John Stewart five years later. 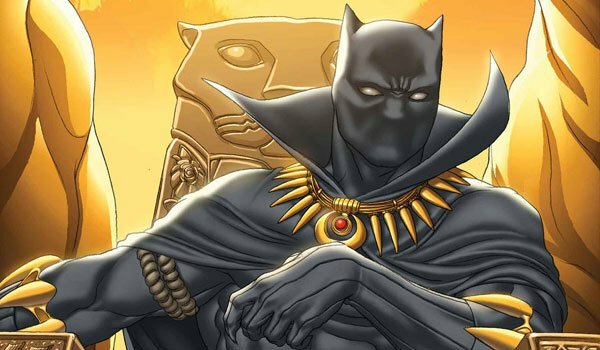 Both inside and outside the world of comics, Black Panther has made a significant impact, and that impact will only grow bigger following the release of Captain America: Civil War.